Everyone wants a perfect smile. It adds to personal confidence and can transform the look of your smile and face. There are occasions when conventional orthodontic braces aren’t the right answer. In those cases, it’s a good thing Invisalign is there to help you and your dentist change the way you smile at the world. The Invisalign system has many benefits over traditional braces. As a cosmetic, though often necessary, procedure, traditional braces certainly don’t provide the look most people desire with the brackets and wires easily seen. 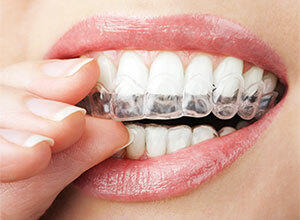 In contrast, Invisalign is virtually impossible to see thanks to the use of clear plastic. Additionally, this orthodontic system is removable. That means you can enjoy the foods you like without concerning yourself with damaging wires and brackets. It also allows the patient to conduct oral hygiene practices, such as flossing and brushing, without cumbersome metal in the way. Of course, the main purpose of Invisalign is to correct the alignment of the teeth. Invisalign has proven to be effective in realigning the teeth and correcting issues such as over, cross, or under bites. For a chance to improve your smile and overall dental health, contact our Cincinnati office for additional information.